4 PROOF FILM is a production company based in Bucharest, founded in 2007 by filmaker Adrian Sitaru, cinematographer Adrian Silișteanu and actor Adrian Titieni. Characterized by a truly independent spirit, 4 PROOF FILM aims to devellop and produce author driven films and documentaries that are story-led, boldly told and globally relevant. Adrian Sitaru was born on November 4th, 1971 in Deva, Romania. He is a director and writer best known for „Hooked” (2008), „Best Intentions” (2011) and „Illegitimate” (2016). For me cinema is like a drug. But I'm not addicted to watching films, I'm addicted to seeing the world, everything that's happening around me, just like in a film. That's why I love shooting them, recreating parts of the world I live in. Adrian Silisteanu graduated Cinematography in Bucharest, while also studying Digital Cinematography at The National Audiovisual Institute in Paris. Over the last decade, he worked as cinematographer for many movies, TV series and commercials. 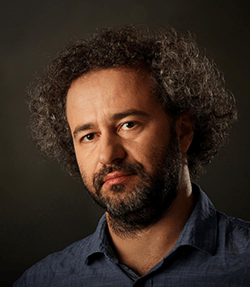 In 2012, Adrian Silisteanu directs his first short film, “The Ditch” and 4 years later, in 2016, makes “Written/Unwritten”. I consider that it is a great privilege to practice a profession in which the main focus is on deciphering the meaning of things that surround us. Cinematography offers us with every project, the opportunity to understand more of the complexity of the human being and of the world we live in. Anamaria Antoci joined 4 Proof Film in 2012 and she shot her first feature, “Illegitimate” by Adrian Sitaru, in 2014. 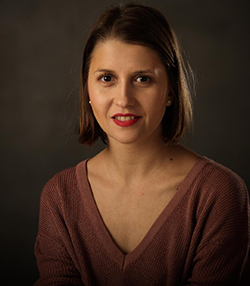 Anamaria is an EAVE and Cannes Producers on the Move alumni and an European Film Academy member. This year she is attending ACE Producers workshop with Adrian Sitaru’s new project “Max and the Virgin Mary”. I strongly believe that no matter how well I do my job as a producer or manager, the most important thing for the success of a project is its artistic potential. 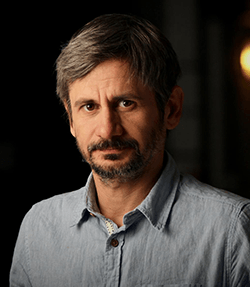 Adrian Titieni is a well-known Romanian theatre and film actor who has starred in over 60 short and feature films and over 40 theatre plays. 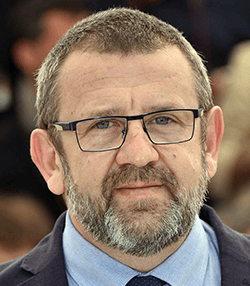 He has worked with many Romanian award-winning directors, such as Lucian Pintilie for Balanța (The Oak, 1992), which premiered at Cannes in 1992, Cristi Puiu for Moartea domnului Lăzărescu (The Death of Mr. Lazarescu, 2005), Cannes 2005, Călin Peter Netzer for Poziția copilului (Child’s Pose, 2013), which won the Golden Bear in Berlin 2013, and Cristian Mungiu for Bacalaureat (Graduation, 2016).